Kobe Bryant and Pau Gasol become 3-point shooting beasts when their Dynamic Duo's are activated! 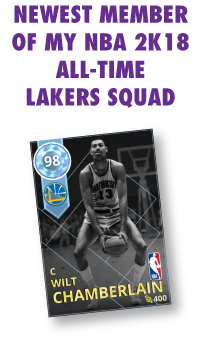 What a combo set to have if you're a Lakers fan. Kobe gets +3 attribute boosts for all 3-point shooting categories and Pau gets a combined +13 behind the arc! Definite must-haves for your all-time Lakers squad. I hope you enjoy this video. As usual I threw in some online gameplay too.